Interested in game modding? Want to earn epic rewards? 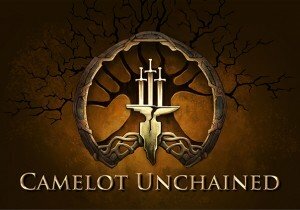 CityState Games is sending out the call for game modders backing Camelot Unchained to join The Mod Squad. Utilizing UI built out of Chromium with Github for the code repository, Camelot Unchained supports unparalleled coordination between developer and fan supporter. As such The Mod Squad initiative hopes to push the best of the community to contribute their coding and ideas to help create the best game CU can be. Of course the biggest contributors will likely be rewarded with game credits, in-game rewards, upgraded tiers, swag, and cash! Backers looking to get a feel for the game to come up with improvement ideas will have their chance this month as well, as Camelot Unchained introduces Friday Night Fights, bi-monthly Friday alpha server battles featuring internal testers, alpha, and beta 1 backers! This starts tomorrow (8/7/15) at noon so don’t miss the fun!